Switzerland manager Vladimir Petkovic said on Friday that he was saddened by Valon Behrami's decision to retire from international football, after the midfielder suggested he had been pushed out by the coach. 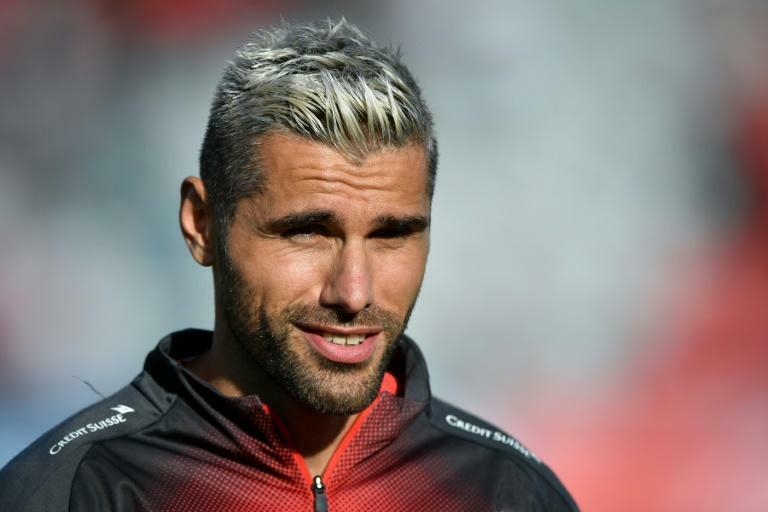 Earlier this month, Udinese player Behrami said he had been told over the phone by Petkovic that he would not be picked for the national side again. "I thought it was a courtesy call, but no, it was to tell me that I wouldn't play for the Swiss team anymore," Behrami, who has 83 Swiss caps, told television channel RSI at the time. "For years, I've been taking more and more responsibility in this team and I'm convinced that this is a political decision." The 33-year-old Behrami, who was born in Kosovo, played in the World Cup win over Serbia which saw Swiss players Xherdan Shaqiri, Granit Xhaka and Stephan Lichtsteiner fined by FIFA for making 'double eagle' gestures as goal celebrations. Despite suggestions from Swiss Football Association (ASF) secretary general Alex Miescher that players with dual nationality should not be selected for the team, Petkovic insisted that the decision to leave out several senior players for the upcoming Nations League matches was for footballing reasons. "I don't have the right to retire a player, I can only select or not select a player," Petkovic said in a press conference, according to Swiss press agency ATS. "I just wanted to inform some players that I was going to take advantage of the autumn matches to give others a chance, so I could know everything possible when choosing my squad for next year's Euro 2020 qualifiers." Eintracht Frankfurt midfielder Gelson Fernandes also retired from internationals after finding out he would be left out for the Nations League opener against Iceland on September 8. "Everyone understood (my reasoning), Gelson had even anticipated it and had decided to retire, everyone except, unfortunately, Valon," added Petkovic. "I'm sad for him, he doesn't deserve that after all he gave to the team." Thousands were killed and displaced in Kosovo in the late 1990s during a bitter conflict between Serbian forces and ethnic Albanian fighters. Kosovo has an ethnic Albanian majority, and many identify with the Albanian flag, which the 'double eagle' symbol represents. Miescher also caused uproar by saying that the ASF may only select players if they give up their dual nationality. On Friday, ASF president Peter Gillieron admitted that mistakes had been made and that he wouldn't stand again for election at the end of his term in May.